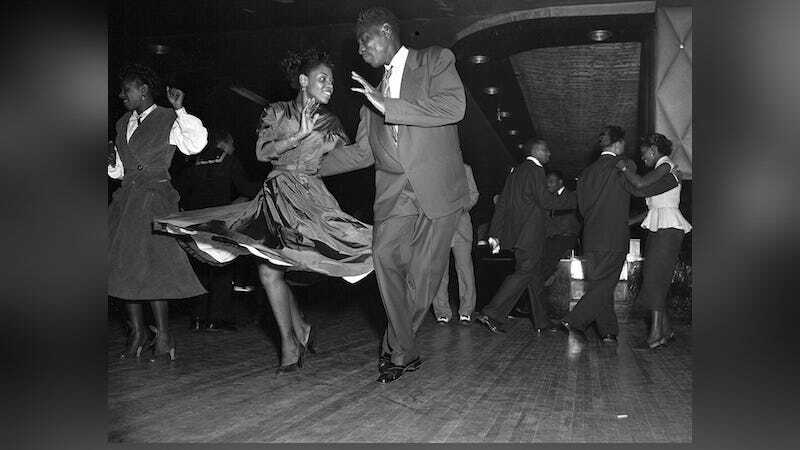 In 1953, an Associated Press photographer attended one of the famous mambo competitions at the Savoy Ballroom in Harlem. The images that resulted can only be described as fire. And here we have the winners, New York’s Lee Moates and Brooklyn’s Tonita Malau. They should’ve just handed her the crown when she walked in the door on the basis of those flats—clearly she came ready to win.